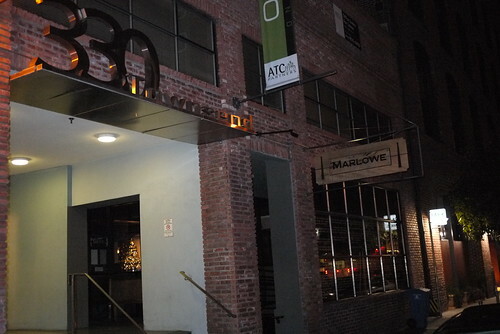 Marlowe opened at the beginning of last year and has been a popular spot for its neighborhood bistro fare. Its consistent popularity has already led to another restaurant from the Marlowe team – Park Tavern, one of the bigger restaurant openings in SF this year. 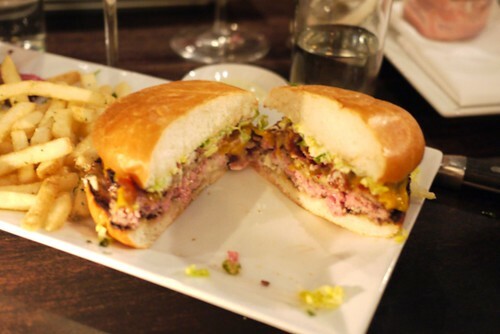 Marlowe is probably best known for its burger, often cited as one of the best in the city. 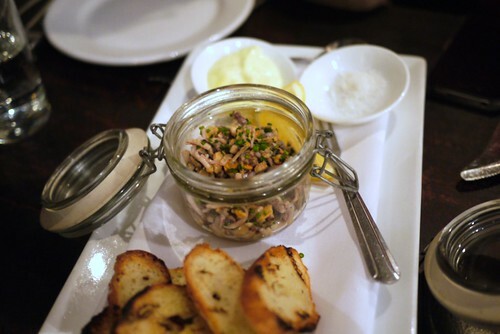 It was also named one of the best new restaurants in 2010 by SF Chronicle critic Michael Bauer. Each year for the last few, myself and fellow grandchildren take my grandmother out for her birthday. Not quite as ballin’ as my dad’s birthday dinner for her, but we put a lot of thought into it and always find something equally satisfying. Marlowe was the choice this year. The menu is fairly focused, with a few options in various menu categories: appetizers, “pots,” snacks, soups/salads, mains and sides. We ordered a variety of appetizers/small plates as well as an entree each (plus one more burger for good measure). 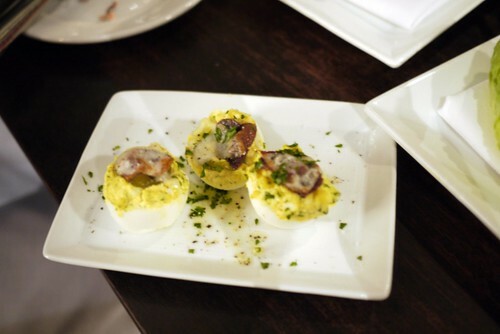 Served warm, the eggs were complemented primarily by smoky, crispy bacon and a mild provolone. I didn’t really pick up any of the pickled jalapeno, but this was still a good bite or two. Lightly crispy with smoky charred ends, these were quite tasty…though some pieces were a little oily. Because they were so thin, the leaves/chips quickly became soggy in any residual oil. Some lemon provided a nice touch of both citrus and acid. 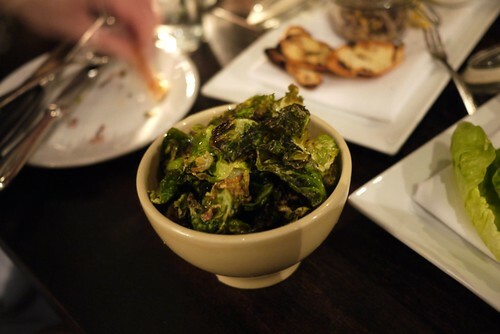 We also ordered a few “pots” served with crostini/lettuce. Of these three, I liked the crab and rock shrimp Louie best. 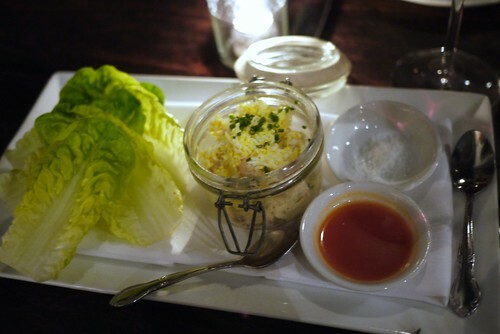 The seafood and lettuce cups felt light while having quite a bit of flavor, particularly with a splash of lemon or tabasco. I thought the mussels and calamari pot was difficult to eat on the crostini, with the small pieces continually falling off the toasted bread. 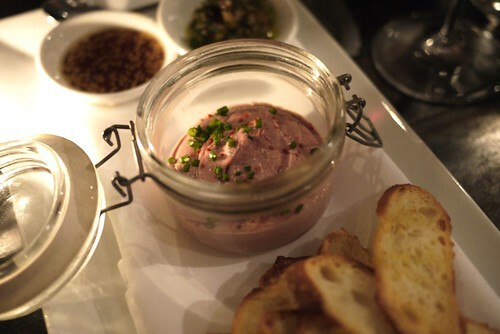 The duck liver mousse was a good one, with the rich minerality playing well with the sweetness of the dates. Between the six of us, we sampled three different entrees. My grandmother got this entree. Very juicy and quite flavorful, this was an excellent chop. A little bit of a smoky flavor was present too, adding an extra flavor profile to the pork. Ah, the much anticipated burger. The meat was cooked a nice medium-rare, though it wasn’t quite as thick as I anticipated. The meaty flavor was there, with a really good smoky char on both the meat and toasted bun. However, I thought there was too much bread (the bread:meat ratio was high) on an otherwise good burger. Overall, disappointing given expectations. 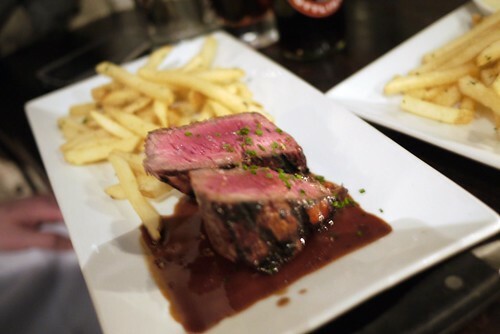 A good steak, tender and flavorful. It was cooked right on point, and the red wine-porcini jus was quite delicious as well. 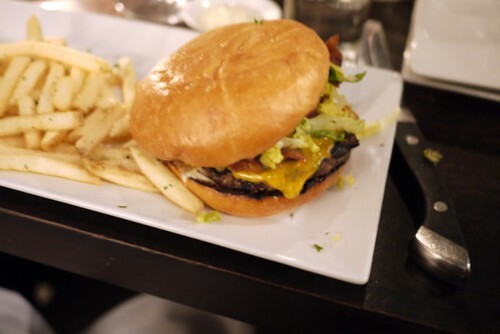 The fries were the same ones that came with the burger – crispy yet fluffy, pretty good fries. Perfect for dipping in the jus. A simple dish; this was very satisfying. We were trying to save room for later, but a meal is not complete without dessert, right? We opted for these two choices, one was fine and one was very good. 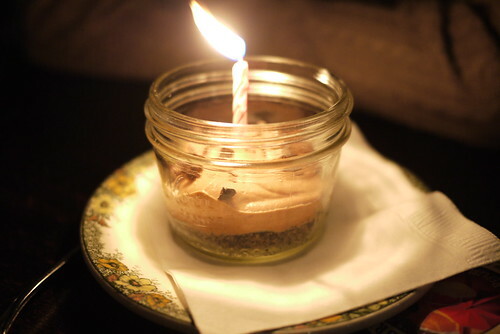 The chocolate cream pie had the expected chocolate flavor with some nice crumble textures. Nothing special. I thought the affogato panna cotta was more exciting, with the creamy panna cotta doused in a shot of espresso. The bitterness of the espresso countered the sweet vanilla panna cotta quite nicely – addicting! Marlowe was good. I can’t say anything was special enough for me to return though. Of all of the dishes we ordered, the burger had the highest expectations and fell short. However, the other plates were executed fairly well with the pork chop being the standout entree. And the panna cotta affogato was memorable. 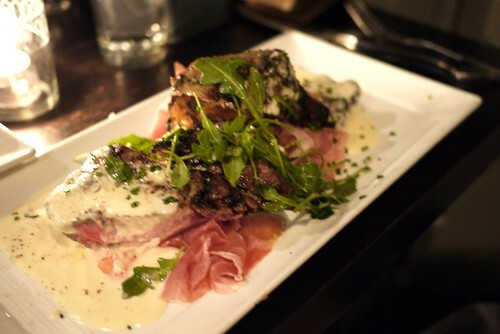 The second part of this evening was a meal at Nopa and an even better pork chop. That bread:meat ratio is pretty off. Too bad. 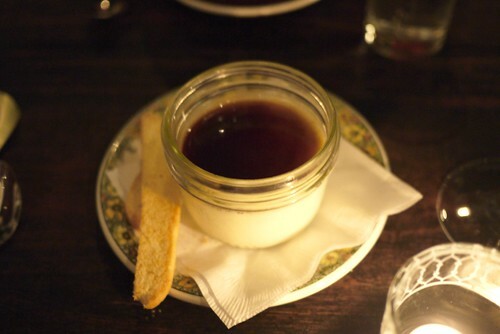 That Vanilla Bean Panna Cotta Affogato sounds like a perfect way to end a meal. Lemon biscotti is the clincher for me. Yeah the picture really says it, I guess. Probably like 3x bread. And yeah that dessert was something..the espresso gave just the perfect kick to get me going to the next dinner. Whoa! Grandma likes second dinners too?? I need to meet this woman! Ha actually she didn’t go to Nopa, only the crazy grandchildren. She does stay up pretty late though.. I kinda want to be a part of your extended family. LOL. I warn you – it’s not good for waistlines!